Home Android How to download apk files directly from Google play store to pc. How to download apk files directly from Google play store to pc. Download apk files directly from Google play store to pc: Today android is the biggest operating system platform for mobile devices. With more than half a million apps to download ans install for users one can enjoy apps from sports to fashion to learn computer skills. Still number of internet users are very less in developing countries. Specially high-speed internet access is must in your android smartphones to download apps from Google play store. So if high-speed mobile internet carriers are not available in your area here is simple trick to download android apps directly from Google play store to pc then transfer it to your android smart phone. As you all know android apps installer is in .apk format. So with using apk downloader one can download apk files directly from Google play store to pc. Surely there are many sites from where you can download apk files from play store to your pc. But I advice you not to download apk files from un-trusted sources. Yes, downloading or installing apk files from un-trusted sources can cause a threat to your personal information. Download Asphalt 8 game for android from here. Downloading apk files directly from Google play store to your pc will help you to download apps from play store to your pc. If you have apk of any app in your pc you can install app in smart phone by transferring apk to your phone. Also you can run apk in your pc using bluestack. If you are short of wi-fi connection or mobile internet download apps from play store to pc then transfer apk to your smart phone. Sometimes play store indicates that app is not compatible with your device but you still need to give a try. Only solution is to download apk files of that particular app. Country restricted apps can be installed in your smart phone with apk files only. Read how to download apps not compatible with your android devices. Visit apk downloader from link given below. Copy the URL of app you want to download to your pc. I have tried traffic racer in the image. Once you click on generate download link Evozi will automatically generate download link of that apk file. In green as shown in the pic. 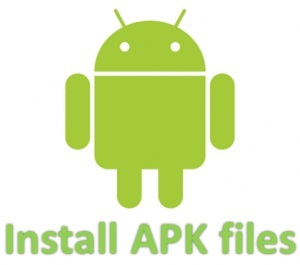 NOTE: apk downloader is used to download apk files for free apps only. Read: how to download paid apps free from Google play store. I hope this post will help you to run most of the apps in your android smart phones. Downloading apps from Google play store to pc is now easy. Do give your reviews in the comment section below. Previous articleShareX screen capturing tool: features, system requirements and free download.